The Dear God Letters is an interesting read. 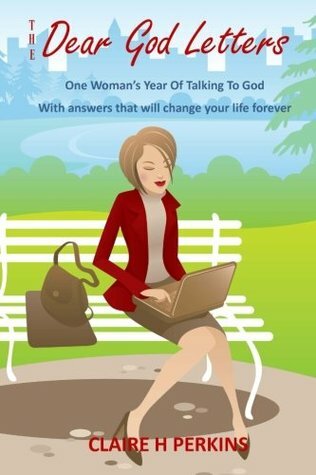 It is a mix of religious, spiritual, self-help, and had a journal feel to it with it containing the author’s thoughts and feelings throughout one year of her life. I liked the format of this book, especially where each month began with a description of that particular month in relation to nature and the weather. It was very visual and descriptive. The thing that felt quite unusual about the format of this book, is that most self-help books I’ve read in the past tend to speak directly to the reader. However, as the title of this book suggests, this is written in the form of the author writing letters to God, and God providing replies. It is an interesting way to write, but did make me feel a little bit nosey, as if I was secretly reading someone else’s diary. Although, I personally would describe this book as religious, other than for a mention of the author’s specific religion while growing up, God in this book could belong to a number of religions or none at all, so could really be read by anyone who is at least open to the idea of being spiritual. The main focus of this book is the way the author approaches life and its challenges, which in turn could benefit the reader if they chose to take on a similar attitude to the author. God in this book is not one to be feared, but is kind and understanding. Being christened Catholic, brought up Protestant, and spending the first 8 years of my life with a variety of Muslim men living in my house, I think I may always remain a little too God fearing to write letters to him. Personally, I’ve always found Jesus to be much more approachable. No matter what your religion, if you are at one with nature (or wish to be) and have an interest in this author’s approach to life, desire to help others, and determination to try and see the good in everything, then this may be the book for you. We are all given a life, but it is up to us what we do with it and what choices we make. Perhaps some of you will choose to read this book as a way of enriching the life you were given. I would like to thank the author for providing me with a copy of this book in exchange for an honest review, and wish her happiness and success both in life and any future books she chooses to write. Sign into Goodreads to see if any of your friends have read The Dear God Letters.